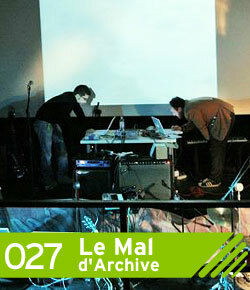 Le Mal D’Archive is a project at the turn of independent electronic and sound design that sees its distinctive feature in the intersection between two apparently irreconcilable worlds such as experimental music on the one hand and the “chanson” for the more harmonious and Matrix melodic heritage of Italian music on the other. HO QUALCHE MINIMA POSSIBILITà DI PERCEPIRE QUALCOSA CON I DIRITTI SULLA FOTO?? ?